I am standing today at a gravestone in Trinity church. Sixteen feet below me lies the greatest writing man that ever lived. If this story is better than usual, you can thank William Shakespeare. The odor of apple blossoms is wafting through the door. White swans are gliding on the River Avon. Kegs of India Pale Ale are rumbling into the cellar of the Dirty Duck tavern. Actors down the street are rehearsing “Love’s Labor Lost.” The Shakespeare industry under the leadership of Sir Archibald Flower, purveyor of culture and light bitter beer, is about to resume for the 1946 season. I do not know which is more important to Stratford: Shakespeare or Sir Archie but between them they have brought to life a summer night’s dream. Let us first consider the gravestone of Will Shakespeare, Gent…. 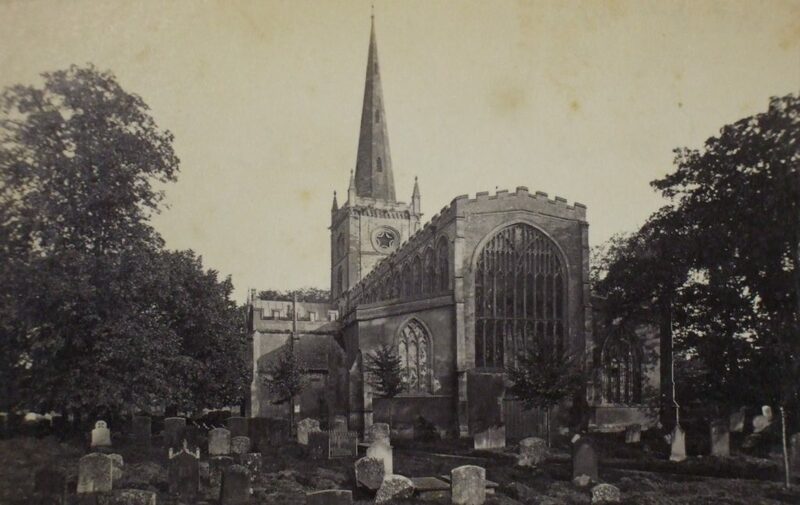 Thus began, in semi-supercilious tone reflecting period and source country, an American journalist’s record of his visit to Stratford-upon-Avon in 1946. He was there for the opening of the Repertory season. The writer was a staff correspondent for United Press, and his story appeared that year in the Santa Cruz Sentinel in California. The season evidently was off to a grand start. Local guides were stationed strategically in Shakespeare’s home and haunts to tout visitors, English and other. Rehearsals were underway, including for Love’s Labour Lost. Beer flowed (this is England), and food in restaurants was decent while still under “austerity”. In a word the war was over, or mostly. 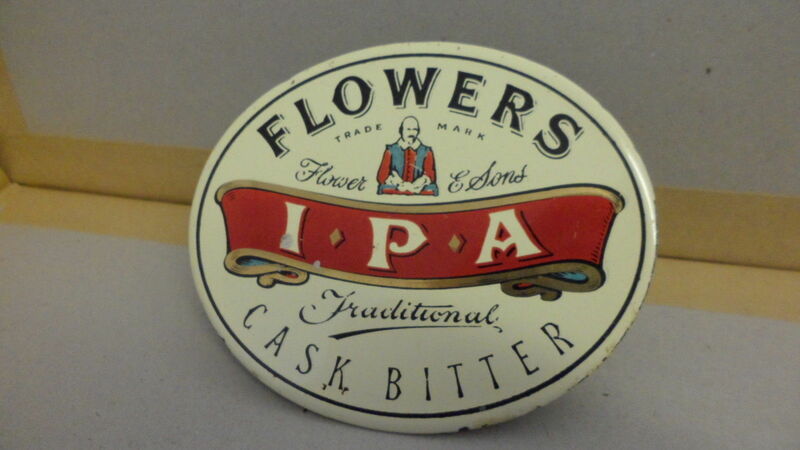 Sir Archibald Dennis Flower was of the noted Flower family and its local brewery, later absorbed by Whitbread. He comes in for multiple mentions albeit by an insouciant diminutive, Sir Archie. The writer, Frederick Othman (1905-1958), didn’t think ill of the beer though. He supped it without complaint in local pubs. These included notably the Black Swan, better known, presumably derisively at least originally, as The Dirty Duck. Othman mentions the beer under two names – India Pale Ale and light bitter. Perhaps two sorts were offered, or they were considered synonyms. A scribbler out of L.A. could be forgiven for not knowing what India Pale Ale was before setting foot in Blighty. Presumably he was told the name, or saw it on a sign or rumbling barrel. Sir Archie is lauded as “purveyor of culture and light bitter beer”. In truth the Flower family was a great supporter of Shakespeare’s art and had funded construction of the first Shakespeare theatre. The people of Stratford, though, the locals, are typed as careless of the Bard’s deathless legacy except as it supports the town. One, a Mrs. Tetley, confesses to Othman that she has never seen a Shakespeare performance. Seeking a book of the sonnets from a local publisher, Othman notes the business is locked and a sign directs inquiries to a nearby “garage”. Othman’s spin was a little unfair, and his assertion of parity by not having climbed Washington Monument, a little hollow, but there you have it. Ultimately he finds his visit worthwhile, sort of. This was the way many Americans used to travel and observe. It was their way, without apology as is legion today. (I heard it myself many times in hotel breakfast rooms and lounges in multiple visits to Europe this year, proferred needlessly). In 2018 the Dirty Duck quacks along, big time. In fact it is a kind of auxiliary to the Royal Shakespeare Company, see the informative account hyperlinked in the pub’s name above. Greene King runs it now, which is fine by me. Othman took care to note that in Flowers pubs other brands of beers were also available. These could have been within Sir Archie’s stable, which Othman wouldn’t have known, but still it is interesting that he noted apparent variances to the main brewery affiliation. Why would an American journalist notice this…? 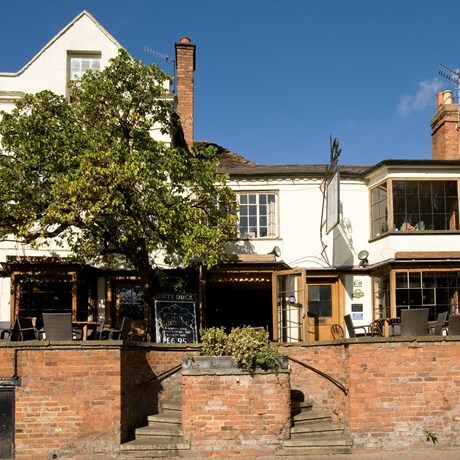 Note re images: the first image was sourced from the webpage, Our Warwickshire, here, the second image from the website of the Dirty Duck in Stratford-Upon-Avon linked in the text, and the last from this eBay listing. All intellectual property in the images belongs solely to the lawful owners, as applicable. Images used for educational and historical purposes. All feedback welcomed.